Go to OKEx and sign up for an account, note that you can click on "Sign up with email" if you prefer. Save this account address in a note for the future step, open notepad or a text editor and paste it in. 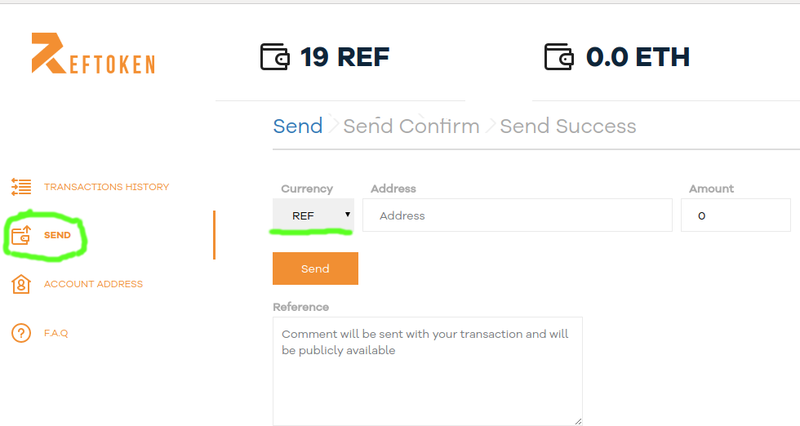 Paste in the address you got from your OKEx account in the send field and fill in the amount of REF you want to send and hit send. You can check if the transaction have been made by going to Etherscan paste in the same address you copied earlier from OKEx in the top form. The REF transfers should show up under the tab "Token Transfers".